So what’s the Deal with Permits for the Wave, Coyote Buttes, White Pocket, etc? The Paria Canyon-Vermilion Cliffs Wilderness is a world-class scenic resource that draws outdoor enthusiasts of all types, especially photographers, from all over the world. In order to protect the environment and the experience here, the Bureau of Land Management, or BLM, has placed restrictions on access to certain parts of this area via a permitting system. This system and all its rules are explained at length by the BLM HERE. The process is often confusing, even for locals, so this blog attempts to break it down in one place, and to provide you with insights into strategy, which as far as I can tell, no one has yet done in writing. It will behoove you to read it all even though it is long and complex. Because of the high demand for permits to The Wave (Coyote Buttes North), two BLM lotteries now determine who gets them. One BLM lottery is held online HERE. 10 online permits per day are drawn 3 months* in advance. The draw on the 1st of the current month at 9:00am is for the entire future month. Online Applications can be made for 30 days prior to each monthly draw. The other 10 permits are drawn in an in-person lottery at 9am the day before at the Grand Staircase-Escalante National Monument Visitor Center in Kanab (see below). On Fridays during the off-season (NOVEMBER-FEBRUARY) the drawing is for Saturday, Sunday, and Monday. *PLEASE NOTE: THE BLM SAYS THE ONLINE LOTTERY IS 4 MONTHS IN ADVANCE BECAUSE THEY INCLUDE THE 30 DAY ENTRY PERIOD IN THE TOTAL. The truth is the chances are not particularly high in either lottery as only 10 people are given permits through each lottery for each day. I think the odds can reasonably estimated at somewhere between 2% and 10% between April and October depending on party sizes. Odds are better for smaller groups and on Friday in Winter (December-February) because of the triple day draw in a proportionately smaller pool. Odds used to be much better in the dead of winter especially if weather loomed or it was a holiday like Christmas, as high as 100%, but since the original writing this is almost unheard of. Winter travelers are more numerous reducing odds to less than 25%. Winter, be warned, has other considerations namely weather and road conditions. The limiting factors in winter are wet weather, snow on the ground, the sloppy condition of House Rock Valley Road, and a dangerously icy trail over the sandstone. Wet weather can also be a factor in summer when afternoon thunderstorms can flood/mud the crossing of the Buckskin Gulch and turn the road into what us guides call “gorilla snot”. In this condition the road can become nearly impassible and/or dangerous for ill-prepared visitors. The local tow company has a field day. Never attempt House Rock Valley Road or crossing Buckskin Gulch when flooded or muddy, especially in a 2wd. Not only will you ruin your own day, but you will block the road for everyone else. All that being said, in good conditions most vehicles can make it to Wire Pass TH (Wave) even if the drivers are violating rental contracts and risking flats with cheap street tires. High Clearance 4wd is necessary though if one wishes to leave the main road to go to South Coyote Buttes or White Pocket. When the conditions are borderline or roads too sandy, guided tours will still operate and can keep you safe. There are limitations, however. Sometimes they still cancel for safety when there is significant snow on the ground. To take risks of injury and have the Wave covered in snow anyway is a losing proposition for everyone. Wire Pass Slot Canyon requires a self-service permit obtained at the trailhead. White Pocket does not require a Special Permit, but it does require a high-clearance 4wd, knowledge of how to drive on sand, and navigation tools and abilities. To read more about White Pocket as a great substitute for the Wave and the difficulties getting there read my article HERE. There are small fees ($5-$7) associated with all Paria Canyon-Vermilion Cliffs Wilderness Permits. Hours: 8am-4:30pm, 7 days a week (March-November), Mon-Fri (December-February). Closed on Holidays. There are many safety and logistical issues associated with getting to the Paria Wilderness and back to civilization safely. Don’t become a statistic! People sometimes get themselves in predicaments in the Paria Wilderness by being unprepared, ill-equipped, and/or inexperienced. Kane County Search and Rescue goes after wayward tourists multiple times every year. It has turned fatal more than once. 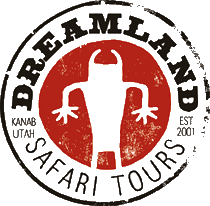 Guided Tours to the all of the locations mentioned above as well as several different combinations are available through Dreamland Safari Tours. Their experienced, naturalist guides help you to get the most out of your experience in the Paria Canyon-Vermilion Cliffs Wilderness by showing you the subtle points of interest and photography you won’t find on your own. They explain how the geology, ecology, paleontology, and human history of these extraordinary places have unfolded over hundreds of millions of years. They keep you and your rental contract safe on unpredictable House Rock Valley Road, guide you on a special scenic route to the Wave, and carry satellite communications as well as abundant supplies in case of Emergency. 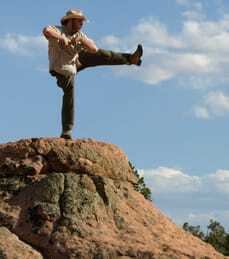 There is definitely a strategy for those wanting to visit the Wave (Coyote Buttes North) on a guided tour. It all begins with attempting the online lottery DRAWN 3 MONTHS IN ADVANCE. If you get lucky online, then the issue is settled and you can set up a tour with us on your date. For South Coyote Buttes the same process applies except the online permit process is first come/first served. On the 1st of the month, 3 months in advance, at 12pm, be on the ball to get the dates you want. They do not last long. If you miss the online lottery you still have another chance. One choice is to go to the in-person lottery in Kanab at the last minute and try to get permits and then give us a call to see if we have seats available. If we do we would love to serve you. Just keep in mind we do fill up and that this strategy may leave you with no options for a guide if you do get permits, and no experience of this place in general, as a reward for coming here, if you do not win. Over the years we have devised a better strategy. It amounts to both us and our guests agreeing to hedge our bets. Because of the ever increasing demand, the current extreme complexities in the lottery system, and the prospect (unbelievably) that the government may introduce more complications and efficiency losses to this process, we have been forced to create an orderly way to book people in that are interested both in the Wave and in the nearby locations/formations which are similar to the Wave. When I say similar they feature some of the same geologic sandstone layers of which there are many outcroppings. Formations and colors do vary. We call these options Conditional Tours and we have two varieties of them. Keep in mind that whatever conditional option you choose, the results are bound to one day and all participants win or lose as a group. We do not accept remainder permits and split tours at the last minute. We do one draw for one tour on one day. Because of the extremely negative efficiencies for us, and what would be total chaos on our calendar and planning, we cannot do multiple draws on multiple days until a single group wins. We also cannot make just any of our tours the alternate. Because most people are attracted to the Wave in the first place, the alternative will always be a similar nearby location, depending on permits (SCB/WhPo or WhPo only). The only exception to this is if you are a group that fills the truck (5 passengers). A group of five, since it already fills the truck can set up any alternative tour they wish. Likewise as long as it is a full group who wishes to go on a tour each and everyday that they have us draw, we can draw for them on multiple days. Keep in mind it is a free service and these are the limitations we are forced to observe. It is however a free service that many find desirable and valuable as they do not have to be present in Kanab the day before. We enter both lotteries the day before. If Wave (North Coyote Buttes) lottery is won the tour simply goes to the Wave. Hooray! If we lose the Wave lottery, then an hour later we try for South Coyote Buttes. If we win the SCB lottery, then we do the SCB/WhPo Combo tour. If we lose both lotteries we do White Pocket only. Don’t worry if this happens, and it is somewhat likely, it is still an awesome tour. White Pocket many people think is more stunning than the Wave. It also has a larger variety in a bigger area amongst other advantages listed HERE on a separate blog post. This is the same as above only some people choose this option without the Wave for various reasons: they have already seen it, they can’t or don’t desire to do the longer hike, they just want to have a great day and don’t care about the Wave. Currently all conditional options are booked by phone, which is fine because many times there is confusion over the complexities, which we can explain. Thank you for taking the time to read our blog. We hope to hear from you! Hello there! I just wish to offer you a huge thumbs up for the excellent info you’ve got here on this post. I will be coming back to your web site for more soon. It is custom made by Jenny Greer of Asheville NC. Her company is called Soundmind creative. We go out of our way to open the wonders of the West to EVERYONE. We are permitted, licensed, and insured. Dreamland Safari Tours holds Special Use Permits from the Grand Staircase Escalante National Monument, Grand Canyon National Park, the Vermilion Cliffs National Monument/Paria Wilderness, Kanab Bureau of Land Management and Arizona Strip Bureau of Land Management. All Day Tours are 2 adult minimum. A single passenger must pay for two seats if there is not a scheduled tour. All daytours 50% off for children 15 and under. Some Day Tours are not appropriate for small children. Tour departure times are chosen at reservation. All daytours are booked on demand with departure options to fit your schedule. Tours do not run on each departure time or everyday. For Sunset or Sunrise at our more remote locations please consider a scheduled or custom built overnight or multi-day tour. We do not provide Sunrise or Sunset Daytours except the Sunset Safari. All listed tour durations and pickup times are approximate. Please allow 10-20 minutes of pickup time flexibility for unforeseen circumstances and varying pickup logistics. Water and snacks are provided on all tours. A lunch meal is included on all tours of 6+ hours. Vegetarian option available. We reserve the right to fill all empty seats. Cancellation / Reschedule / Weather policy applies. Please familiarize yourself with our FREQUENTLY ASKED QUESTIONS before contacting us. To contact us with other specific questions or begin Making Reservations click the “Book Now” Button at the bottom of each tour page or click Contact Us and give us a call or shoot us an email.